Have you ever wanted to make a 360 degree videos without spending a fortune on a 360 video camera? 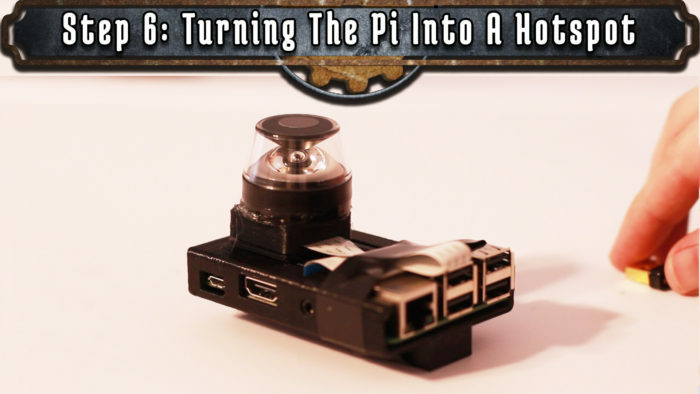 Well, if you have $15, a Raspberry Pi and a webcam lying around, then you can make your own 360 degree videos! Watch my tutorial to find out more! 360 degree video is the new hot trend, but when it comes to 360 degree video cameras, most rigs will cost you upwards of $700. Seeing as how I don’t have $700 to waste, I began searching for a cheaper DIY alternative. 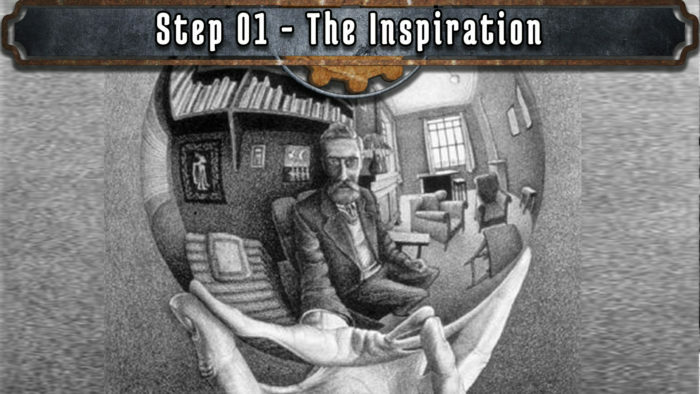 One very promising method was using a spherical mirror. Those types of mirrors are quite often seen mounted to the ceiling in hospitals so that workers can easily see what’s around corners. So taking a picture from underneath one of these mirrors produces a 360 degree view of what’s around you. To get this into a 360 video format, we’ll need to use software that can de-warp and unwrap it. 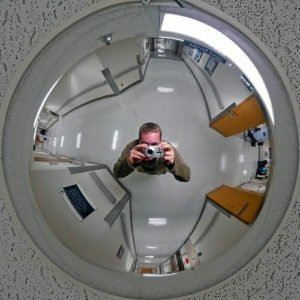 For the spherical mirror, I found this Kogeto Panoramic Camera for less than $15. It’s intended for iPhone cameras, but it uses proprietary software in order to view it, and the videos aren’t compatible with Youtube. Since we’d need a camera that needs to also de-warp and process the video, I decided to go with a Raspberry Pi and the Raspberry Pi Camera. Alright, let’s get started. If you’re not familiar with a Raspberry Pi, it’s a $35 single-board computer that’s about the size of a credit card. The newest Raspberry Pi 3 has built in wi-fi and bluetooth, but There are a few things you’ll need to get it up and running: a second wi-fi adapter to use as a hotspot (later on), a power cable, a mouse and keyboard, a monitor, and a Micro-SD card. Not to mention the Raspberry Pi camera. 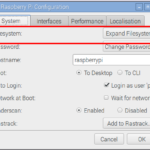 In order to start it up, you first need to install the Raspbian operating system on a Micro-SD card. You can download the newest version from here. After it’s downloaded, you can unzip the contents. If you’re using Windows, insert your SD card and then use the free Win32DiskImager program to burn the image to the SD card. 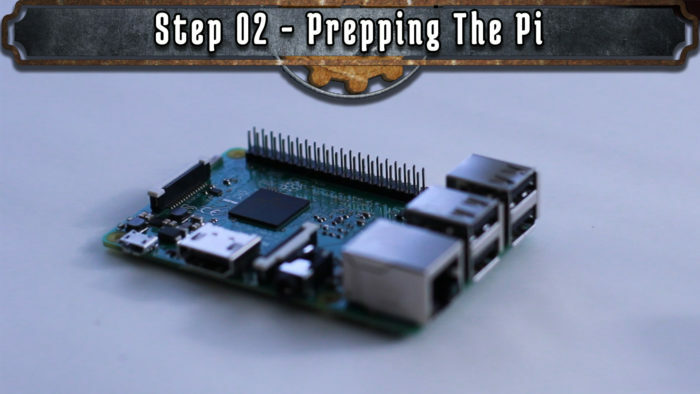 When it’s done, eject the Micro-SD card and insert it into the Pi. With the camera, mouse, keyboard, and monitor attached, plug in the power to start it up. It should boot directly to the desktop. 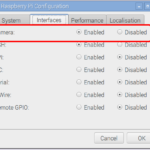 The first two things you want to do is click on Menu > Preferences > Raspberry Pi Configuration. Under the “System” tab, click on “Expand Filesystem”. Then under the “Interfaces” tab, make sure the “Camera” option is enabled. Click “OK” and then reboot your computer. By the way, the default password is “raspberry”. When it’s through updating, we need to install SimpleCV. 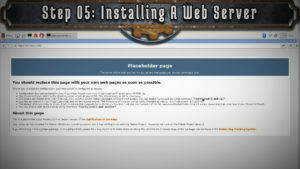 It can be quite daunting if you’re not used to installing things on linux, so I’ve given it it’s own dedicated step. We also want to install a couple of codecs so that we can easily view and convert our video later. When it comes to having a computer automatically manipulate and detect what it’s seeing through a webcam, it requires special software called “Computer Vision” software. 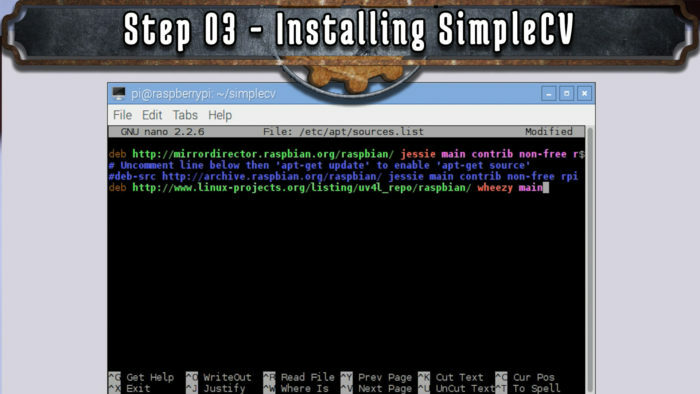 In the instance of the Raspberry Pi, there’s an excellent simple computer vision platform called “SimpleCV“, based on the more in-depth OpenCV software. I’ve already done full tutorial on SimpleCV’s capabilities and how to get started with it, so for this tutorial, I’ll just explain how to install it. #hit CTRL X followed by CTRL Y to save and exit. After starting the service, you are now ready to manipulate images with your webcam! On to the next step! 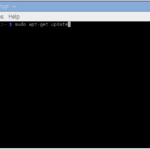 You will have to type this command every time you restart your pi!! The Kogeto Dot is intended to be used as an iPhone attachment, so it comes with a lot of extra plastic around the lens that needs to be trimmed off. I did this using both really sharp shears and a dremel. Then I smoothed out everything using some sandpaper. It’s probably a good idea to put a little piece of tape over the lens hole so that you don’t get any plastic pieces on the mirror. 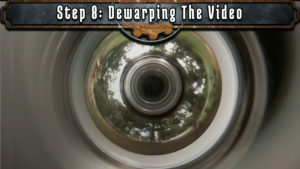 Now you should just have the round dome of the mirror and the lens, but how do we get it to fit on the camera? To test it out, I simple used pieces of cardboard to keep it propped over the camera, but a more permanent solution was to 3D print a case for the camera that could support the panoramic lens on top of it. 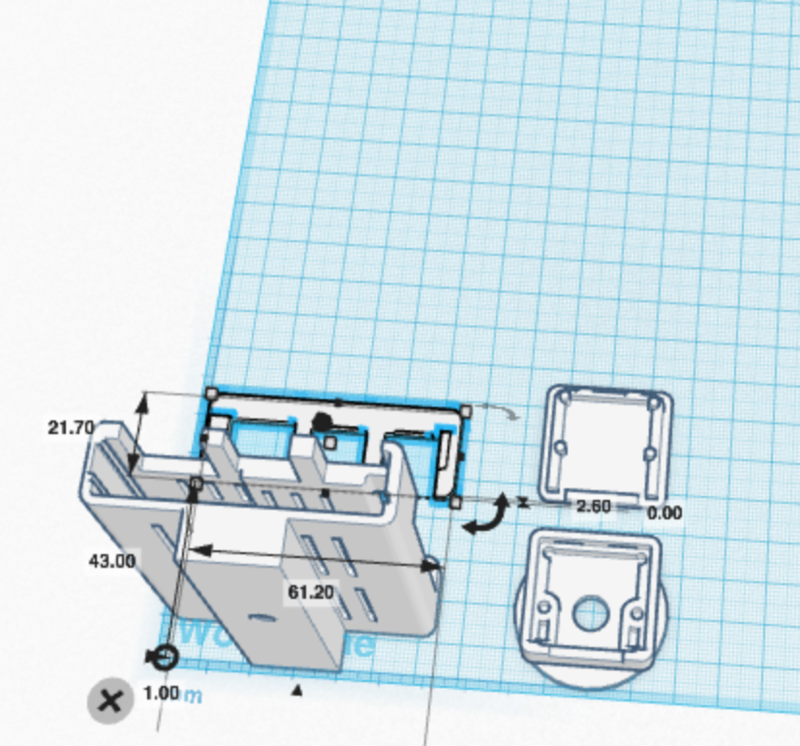 Since I was firing up the 3D printer anyway, I decided to also design an integrated case that could easily be mounted on to a tripod. You can download and view my 3D printed files over at Thingiverse. 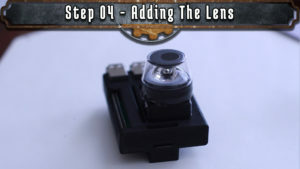 Once everything was printed, I just added a couple dabs of hot glue to secure the camera and the lens. Now it’s time to make some videos! 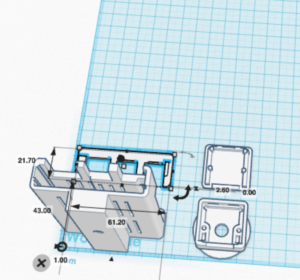 What does a web server have to do with a 360 camera? Well, it can provide us with a simple way to remotely view and control our camera. This is one of several potential methods to control the camera, so if you have a different preferred way (GPIO button, touch screen, etc) feel free to skip this step. To make it function as a hotspot, we need to install and configure the “hostapd” software. You should now see your wi-fi SSID being broadcast. If not, just restart your Pi. Now that we have our 360 PiCam ready, it’s time to find a place that you want to record, and set everything up. I mounted the camera onto a Tripod and powered it with a 5v USB battery pack. Once booted up, you should be able to connect to it by selecting “360_cam” from your wireless connections and connecting to it from any web-enabled mobile device. 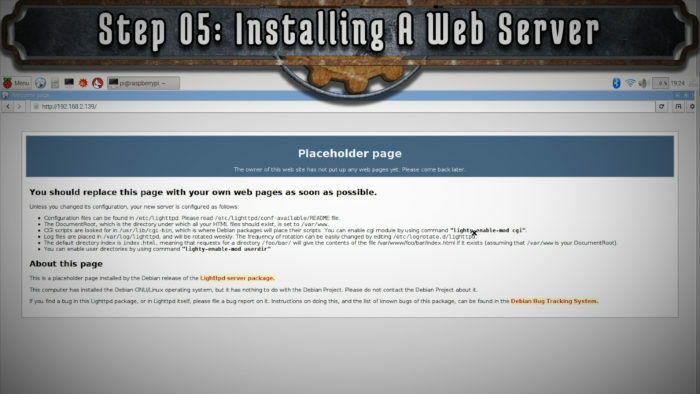 Then point your web browser to the static IP address that we assinged to the Pi above (192.168.101.1). You should see the web controls to “Start Preview”, “Stop Preview”, and “Record”. Starting the preview allows you to view the camera through the webpage so that you can adjust it as necessary. Before recording, however, you must stop the preview screen. Now you can hit “Record”. 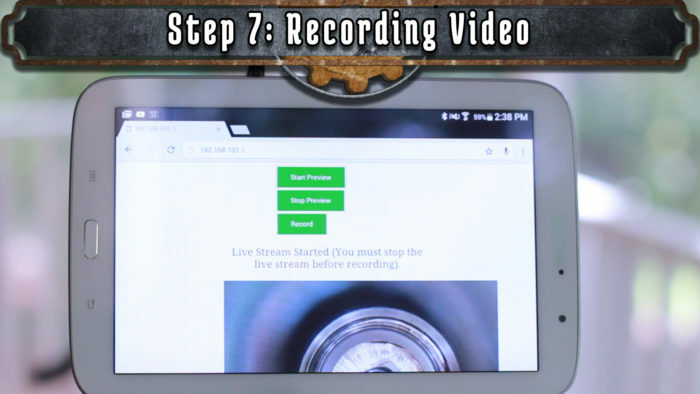 It will record for 5 seconds (which can be adjusted in the code). Now you can save this file to a USB drive because we’ll need to finish up on a PC or a mac. The final step is to view the video in 360 mode! If you were to just play it in a standard video player, it would just look like an extra wide video. So we’re gonna need a special viewer if we want to preview it. Luckily, the Kolor company has a GoPro VR Viewer that can view 360 videos. Just install it and open your video to see how it looks. 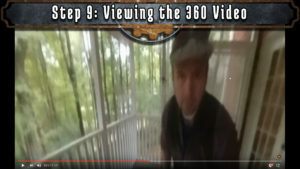 But the main point of this project is to make a 360 video that can be uploaded to Youtube. In order to do that, Youtube has a list of steps you must follow before uploading it. But basically you have to download their “Metadata Injection” script that inserts metadata into the video so that Youtube knows it’s a 360 video whenever you upload it. Once you’ve done that, then just upload it to Youtube. I’ve posted two of my sample videos at the top of this article so that you can see what it looks like. I hope this inspires you to make your own. Have fun!